10-8 Firearms Instruction was created to provide quality firearm and personal defense training to the responsible citizens of Iowa. The instructor, Nick Nolting relies on his experience and training as a Police Officer to give you a valuable course that only a law enforcement officer could teach. 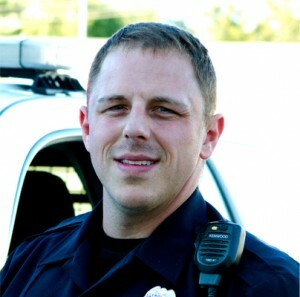 Nick has an Associate’s Degree in Criminal Justice from Iowa Central Community College and is a certified Iowa Police Officer. Nick is also an Iowa Law Enforcement Academy and nationally certified firearms instructor. To become an Iowa Law Enforcement Academy firearms instructor, candidates must be more proficient with firearms than the average patrol officer and maintain this proficiency throughout their certification. Nick is tasked with training and qualifying police officers in his department in the use of pistols, shotguns and patrol rifles. Nick believes all citizens should support the National Rifle Association. The NRA plays a huge role in maintaining our firearms freedoms in the United States. In addition to the police academy and firearms instructor certifications, Nick has successfully completed ALERRT Open Area Active Shooter and ALERRT School Active Shooter training and is an instructor for the ALERRT school course. To supplement his training and experience Nick has attended The Bulletproof Mind hosted by Lt Col Dave Grossman and MAG 20, Armed Citizens Rules of Engagement hosted by Massad Ayoob, both who are nationally recognized as experts in their fields. Since developing his permit to carry course seven years ago, Nick has taught over two thousand Iowa citizens in concealed carry. Nick is also certified through the State of Utah to teach their mandated Concealed Firearms Permit class. With Nick’s training and experience; 10-8 Firearms Instruction will give you quality training and knowledge that other training classes just can’t provide.